"A lot of people would say a landscape is indifferent, or nature’s indifferent. A lot of people get the feeling that Southeast Alaska, the Inside Passage, if you get in it, if you get off that cruise ship—which is how most visitors see it—it’s menacing. It’s not just that it doesn’t care about you, it wants to eat you." -- Bjorn Dihle on the Inside Passage. 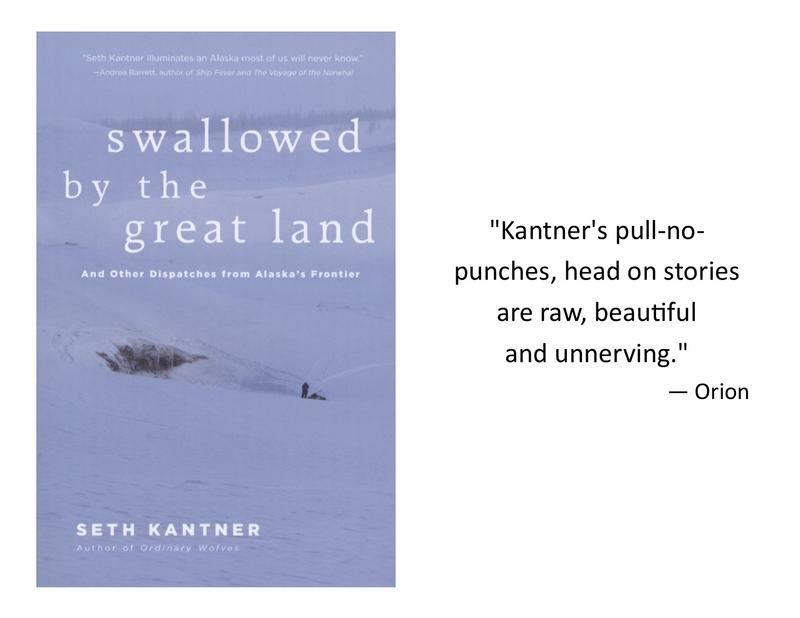 Swallowed by the Great Land: And Other Dispatches From Alaska's Frontier is a collection of compelling Alaska stories from Seth Kantner, bestselling author of Ordinary Wolves. When Seth Kantner's novel, Ordinary Wolves, was published 10 years ago, it was a literary revelation of sorts. 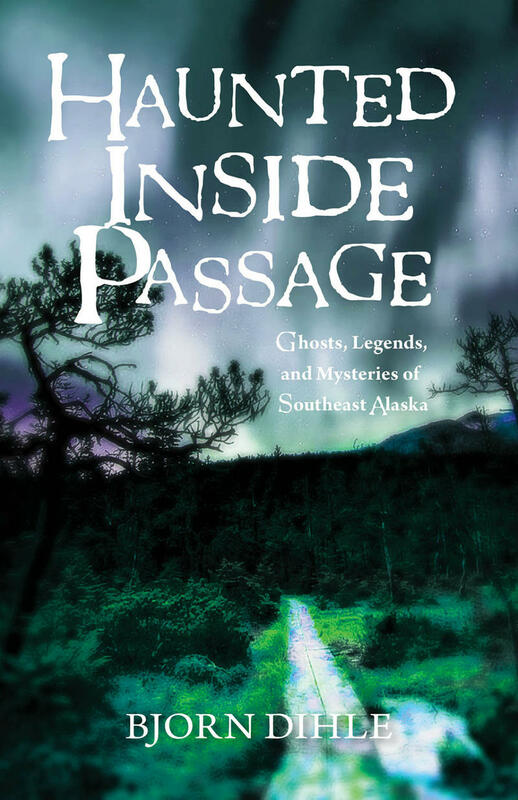 In a raw, stylized voice it told the story of a white boy growing up with homesteading parents in Arctic Alaska and trying to reconcile his largely subsistence and Native-style upbringing with the expectations and realities tied to his race. It hit numerous bestseller lists, was critically acclaimed, and won a number of awards. 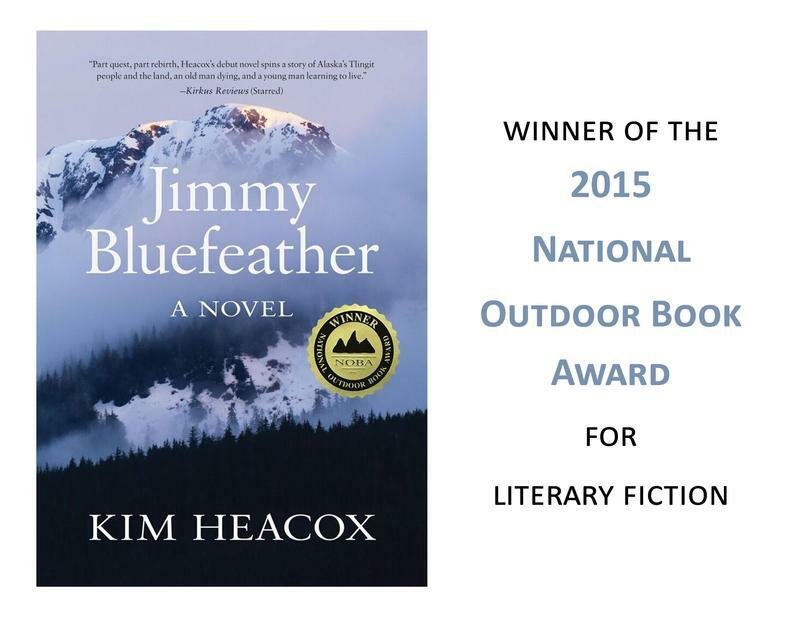 Kim Heacox talks about and reads from his debut novel 'Jimmy Bluefeather,' winner of the 2015 National Outdoor Book Award for literary fiction. Old Keb Wisting is somewhere around ninety-five years old (he lost count awhile ago) and in constant pain and thinks he wants to die. He also thinks he thinks too much. Part Norwegian and part Tlingit Native (“with some Filipino and Portuguese thrown in”), he’s the last living canoe carver in the village of Jinkaat, in Southeast Alaska. 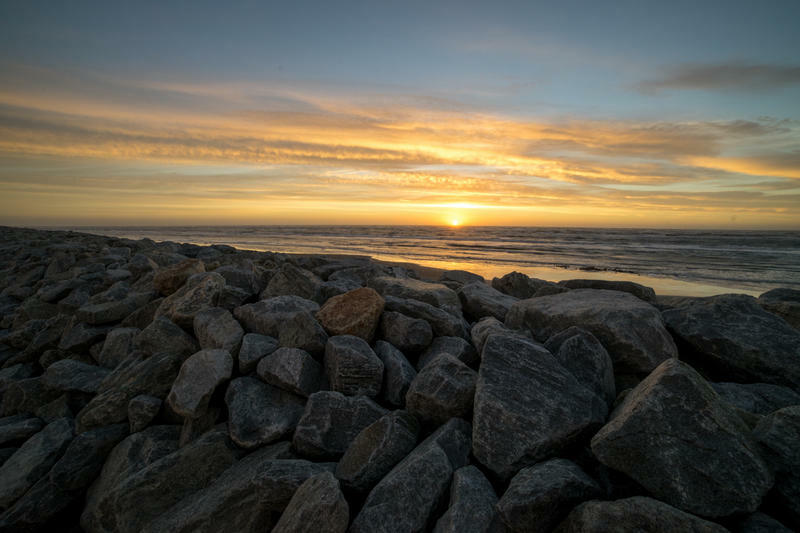 Jordan Konkol got a summer job helping geologists explore for platinum in Alaska. He recalls a moment from that remote place, standing on a high ridge in summer daylight at 11:00 p.m., "...feeling silence extend in every direction. I recalled a line of Joseph Conrad: "this also has been one of the dark places of the earth.""